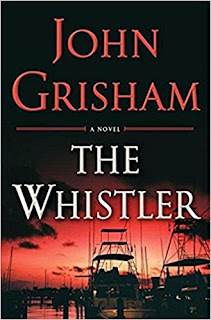 The book I'm listing for the ninth category of the reading challenge (an espionage thriller) is The Whistler by John Grisham. Picking up a Grisham book pretty much guarantees me some pleasant reading for a week or so. I'll take it! I'm being a bit liberal with the definition of 'espionage' for the purpose of categorizing, but I assume you'll keep reading. The Whistler is a tangled thriller about a whistle-blower unknown to the narrator, and most of the other category. Someone knows a lot of what's going on to make the nearby Indian reservation very wealthy with its casino and developments. And they're ready to see those who are cheating the system, pay the price. But there is no straight line from point A to point B here. It isn't even a regular law enforcement investigation. While it officially should go to the FBI, the whistler (the code name for their informant) wants it to start out as an investigation into a particular judge, through the Board on Judicial Conduct. Usually just a paper-chasing agency, the BJC isn't equipped for the threats that come as they dig deeper into this judge's conduct, and what's going on at the reservation. While some of the reviews say this is far from Grisham's best work, I found it to be an entertaining page-turner. I liked the look into a non-traditional agency to try and solve the crime, or at least find out what it all is. And as I'm sure you've seen if you've read my reviews before, I liked the characters. That's vital for me. The first link to the informant is a man fleeing his past and its consequences, and he does it with interesting style. The investigator and her partner were also likable people. If I'm going to escape in a book, it should always be with people I'd like to consider friends, right? 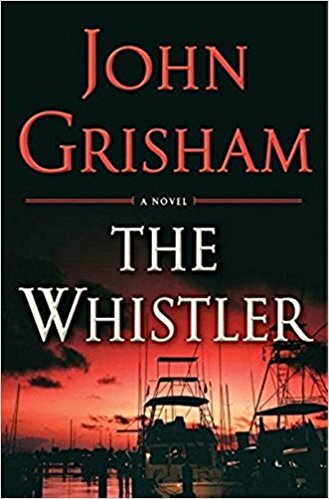 I have always loved John Grisham... this one sounds like another winner. I will look for it on my Kindle. I haven't read a John Grisham book in a while, but I love a thriller. Thanks for the recommendation. I used to LOVE reading John Grisham. It's been too long.